The Art Nouveau style was very popular during the 1890 -1910 time period and reflected a move away from the previous Victorian art style. Cloisonne is a centuries old metalworking technique for relatively small objects of high value wherein very thin silver wires are soldered to a silver/gold surface in such a way as to create cells (cloisons). Enamel powders are then placed in the cells and the item is heated in a kiln until the powders turn into a liquid (different temperatures for each color). After the object is cooled, the surface is worked so that the cell walls are at the same height as the enamel. Today, China mass produces cloisonne items on an immense scale (with relatively low prices) and this process is now very automated. That was not true when these spoons were made. 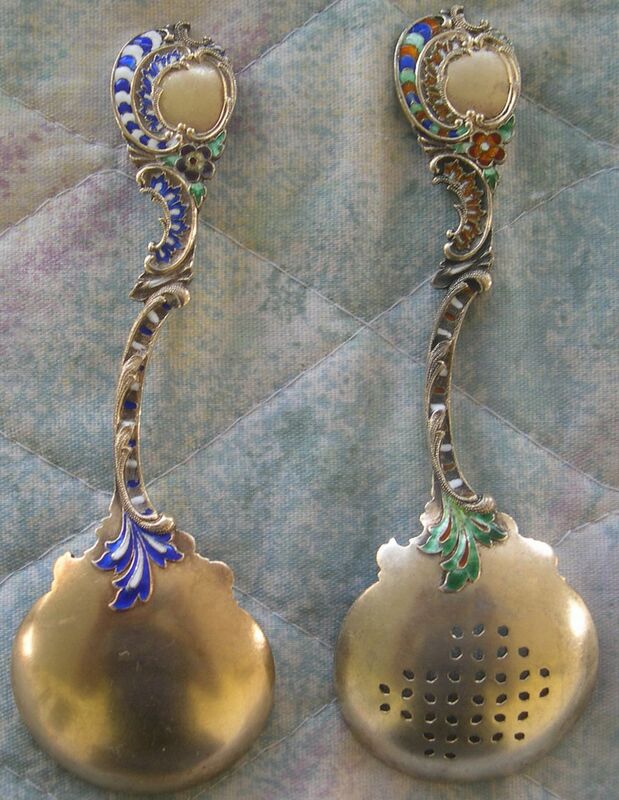 This exhibit shows two particularly nice examples of art nouveau cloisonne enamel spoons. 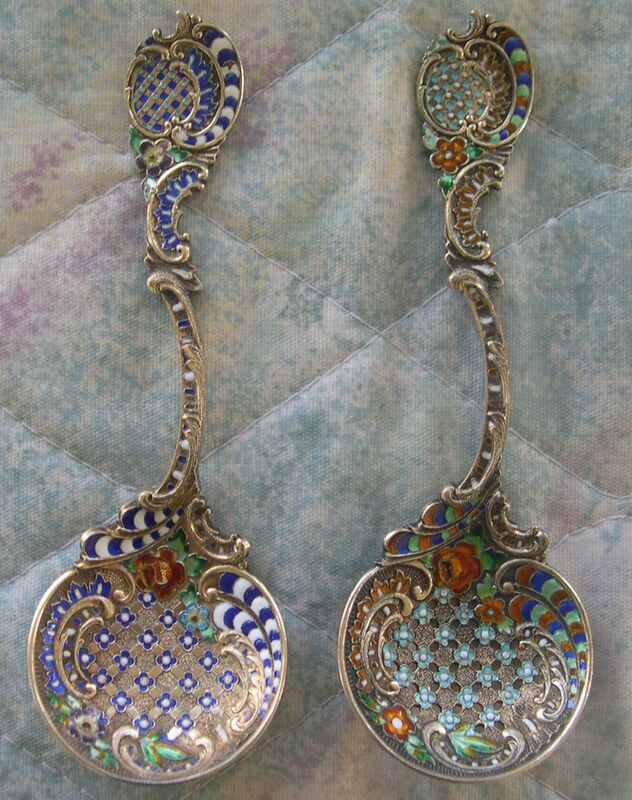 These spoons use sterling silver as the base metal and use sterling silver wire to create the cloisonne design. They have also been gold plated. Notice that in some of the cells, multiple colors of enamel were used. This is a more difficult technique and requires additional experience. The styling of these spoons with their curvy handles and 'c' shapes is very common to the art nouveau era. If you are observant, the right spoon has small holes in the bowl which made it into a strainer.